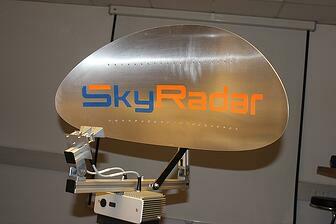 The Clutter Synthesizer Module is part of SkyRadar’s Radar Training System. It allows for the generation of various kinds of clutter. In addition it provides additional methods to eliminate this clutter. Hostile Volume Clutter – Chaff. Chaff is a deliberate radar counter measure. Moving Point Clutter (Angels) – Birds, insects or similar swarms of moving objects. The system shows how moving targets can be discriminated from static clutter through MTI application. Since aircraft usually move much faster than weather or surface targets, SkyRadar’s velocity-sensitive system teaches how to eliminate unwanted clutter from the radar indicator. Moving point clutter is more difficult to remove because the characteristics are very much like aircraft. 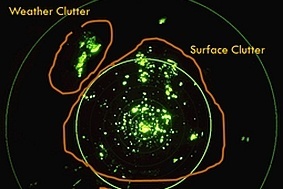 Surface clutter is eliminated through electronic maps and statistical methods. Point clutter is eliminated through statistical methods, Radar Cross Section Analysis and more.